When ready to eat, remove from freezer and thaw in fridge for 24 hours. Cook on LOW for 8 hours (or HIGH for 4 hours). Sprinkle with fresh or dried rosemary for serving. When ready to eat, remove from freezer and thaw in fridge for 24 hours. Cook on LOW for 4-6 hours. Serve with cooked fettuccine noodles, green salad, and a loaf of French bread. Serve with cooked spaghetti noodles and garnish with olives and cheese. Be sure to check out all our freezer meals by clicking here. 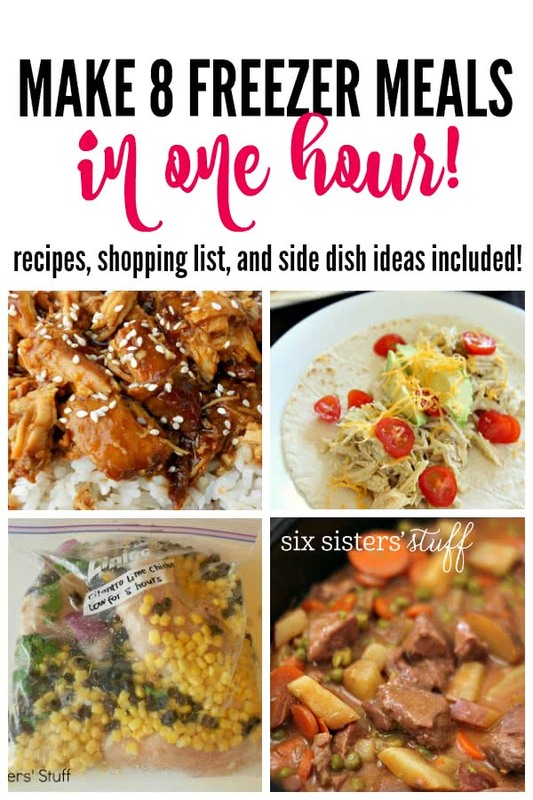 50 Easy Recipes with 6 Ingredients or Less!